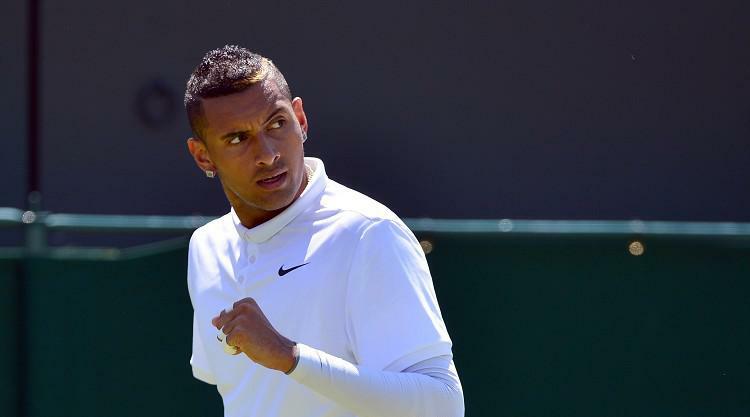 Australian Nick Kyrgios will be going for glory on home soil after reaching the final of the Brisbane International. The 22-year-old, from Canberra, came from behind to dump out top seed and reigning champion Grigor Dimitrov 3-6 6-1 6-4 in the semi-final. Dimitrov, who beat Britain's Kyle Edmund in the quarter-final, took the opening set but Kyrgios responded in style. His impressive serving helped as he fired down 19 aces and won 82 per cent of points on his first serve. There was almost an all-Australian final, but wildcard Alex de Minaur's brave run ended after a narrow defeat to American Ryan Harrison, who won 4-6 7-6 (7/5) 6-4. De Minuar was just two points away from victory as he lead 5-4 in the second-set tie-break, but Harrison rallied and got the job done in three sets.